Plants add an aesthetic beauty to every environment adding colour, shape & texture. In addition, they attract a wide range of insects & animals which use the water to drink, feed & breed. An ecosystem & food chain has now started. 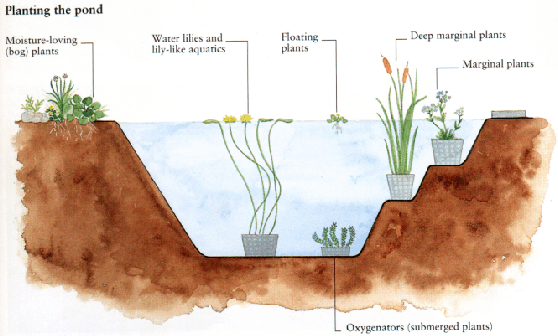 Water plants are split into categories depending on where they are planted in the pool. Each section has its own distinct characteristics with varieties to suit every aquatic environment & every customers' requirements. Each category is described in greater detail over the next 6 pages.